Exposure to vaccine antigens is not the only way to increase antibody response in the human immune system. At best, exposure to vaccine pathogens may teach the immune system to recognize one or a few virus strains…. influenza viruses are constantly mutating to survive….Therefore, it is more prudent to holistically prepare the terrain of the immune system, making cellular health more efficient in energy production. Vaccine science focuses on the fear of individual germs; whereas, smart adaptation focuses on strengthening natural responses throughout the body, including lymph movement, endocrine function and hormone signaling, microbiome intelligence, digestion, waste filtration, mucous membrane efficiency, inflammation reduction, and stress reduction. Green Drinks – alive, organic lettuce, kale, parsley, chard, spinach blended with spring water into a green drink. Finely divided greens are both nourishing and healing. Intermittent fasting – we have always considered fasting the royal road to health. Here, Dr. Mercola, a tireless champion of natural healing, discusses fasting and the fasting mimicking diet, with Valter Longo and his team at the USC’s Longevity Institute. Vigorous exercise – here Dr.Mercola interviews Dr. Michael Mosley on the benefits of intermittent fasting and high intensity exercise. Here you have it, brothers and sisters-green drinks, intermittent fasting, vigorous exercise and growing at least a part of the food you eat. It is vital that you become a beacon, an exemplar of the three RRR”s – regeneration, renewal and re-creation. 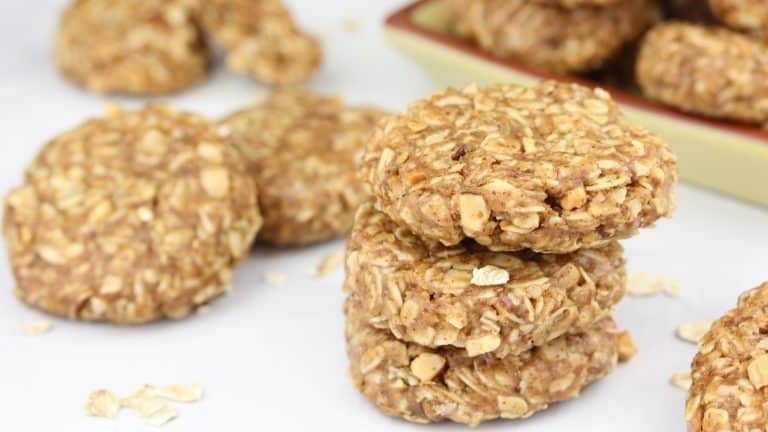 These super simple, No-Bake Almond Butter Breakfast Cookies are gluten-free, dairy-free and vegan making them the worlds most versatile cookie. They are great for those times when you need to be fueled fast! I like them as a grab-and-go breakfast option or as after school snacks when my kids have to run from one activity to the next. We are putting our Tahini on sale for the month of January! It is now $13.99 – down from $17.99! We want you to rejoice in its creamy texture of our tahini. We attribute its texture to two things – our production process and the quality of our sesame seeds. We do not grind, rather we slice the sesame seeds,let them rest overnight and then slice again. Mix with one of our honeys and you have halva, a Middle Eastern delight! Our sesame seeds are mechanically hulled. Our pecans are grown on a family farm in Texas and blended with a little Pink Himalayan Salt. Try our Organic Pecan Butter straight on fresh crunchy vegetables. It’s also delicious mixed with your favorite soup or finely shredded cabbage, zucchini and carrots. Use one tablespoon per serving. (Mercola) Did you know the energy from the Earth can help you live a healthier life? The concept is known as earthing or grounding, which is no more complicated than walking barefoot. Research suggests a general lack of grounding, also referred to as “electron deficiency syndrome,” has a lot to do with the rise of modern diseases. For a visual demonstration of this concept, see this previous article, which features an experiment conducted by Gary Schwartz, Ph.D., at the University of Arizona. Using sunflowers, he demonstrates the biological effects of grounding and what happens when the flowers are not grounded.